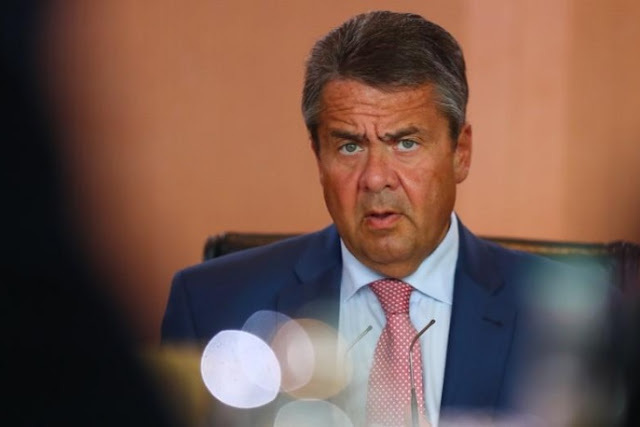 German Foreign Minister and Vice Chancellor Sigmar Gabriel presides the weekly cabinet meeting at the Chancellery in Berlin, Germany, August 2, 2017. FRANKFURT - Germany must not phase out combustion engine cars as Britain is doing, Foreign Minister Sigmar Gabriel said on Tuesday in the wake of an emissions scandal that has damaged the reputation of the country’s powerful carmakers. “I am convinced we must not agree on an end to the combustion engine.. we must take steps to strengthen e-mobility but we must not in the process lose sight of the potential of the combustion engine,” said Gabriel at an industry event. Britain will ban the sale of new petrol and diesel cars from 2040. Germany must not phase out combustion engine cars as Britain is doing, Foreign Minister Sigmar Gabriel said on Tuesday in the wake of an emissions scandal that has damaged the reputation of the country’s powerful carmakers.